1) open webstorm, choose "create new project from existing files"
2) select "Source files are in a local directory, no web server is yet configured"
3) navigate to the root folder of my project and click the "project root" button, click finish. 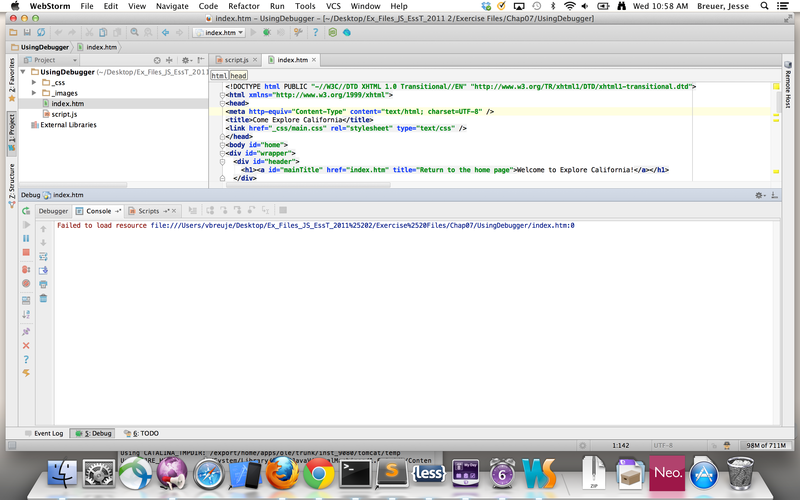 6) set a breakpoint in js file. 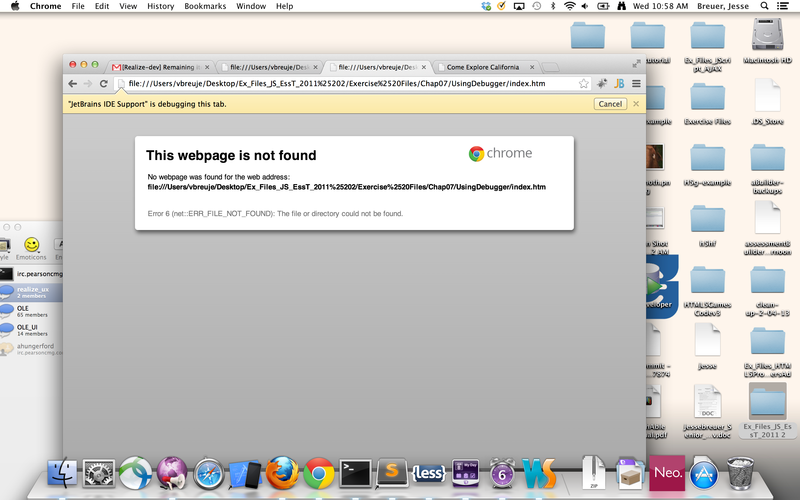 7) go to html file, right click, and choose debug. The browser window in chrome shows both the '"Jetbrains IDE Support" is debugging this task popup', and chrome "this webpage is not found" modal. 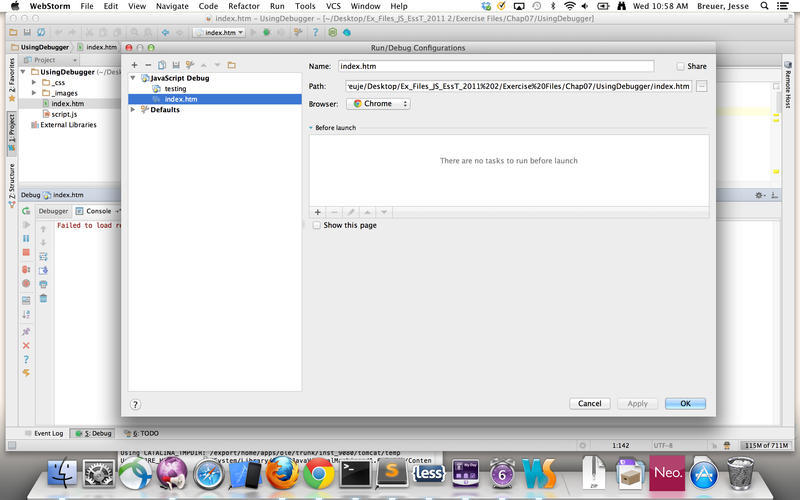 can you attach the screenshot of your run configuretion plus screenshots of webstorm console and the browser at step 8? What WebStorm version do you use, on what OS? I am using webstorm 6.0.1 on mac osx 10.8.
thanks Lena, actually selecting the path via browse was what I did initially, so that doesn't help. It still creates the "%20" when you do that. But knowing that the issue was caused by a space, I was able to remove spaces in the directory name and get it working.